Creating happiness is harder than you think – many of the activities you think will make you happier… do very little. People are exposed to many messages that encourage them to believe that a change of weight, scent, hair color (or coverage), car, clothes, or many other aspects will produce a marked improvement in their happiness. Our research suggests a moral, and a warning: Nothing that you focus on will make as much difference as you think. On the other hand, creating happiness can be easier than you ever imagined – many of the activities you ignore, like cultivating gratitude, do very much even with little effort. Imagine you’re a college football star, on track to get drafted by a pro team. One day you get into an accident. You’ve been paralyzed by the waist down. You’d be right in expecting that you’d feel terrible, like everything you’d been living for was now gone, an unreachable impossibility. But slowly, your desires and expectations will adjust. You’ll stop dreaming of fame and football, and start dreaming of other, more normal things, like getting married or buying a house. No doubt, you’d have had a happier life if you hadn’t been paralyzed. But don’t under-count your ability to adapt. After a few years, many paraplegics feel almost as good as they did before being disabled. Many feel almost as good within a few months. Humans are remarkably adaptable – how else would we have taken over the whole world? Imagine you’re a working class Joe. You’ve got a wife and two kids. More than anything else, you want to get promoted. Because once you do, everything will change – you’ll be able to replace your 10-year-old car, buy new clothes for your wife, take your kids on vacation. Being hard-working, you get that promotion. For a few days, maybe even a few weeks, you’re living in wonderland. You’re happy. But then you notice your neighbor’s car – a shiny $35,000 Lexus. You want it. More than anything else, you want to get promoted. Because once you do, everything will change. Being hard working, you get that promotion. For a few days, maybe even a few weeks, you’re living in wonderland. But then… and on, and on, and on. Yes, as we get more famous, more powerful, more beautiful, and more wealthy we get happier, but much less than we’d expect – much less than we’d hope. It’s called a rat race for a reason. Automatic habituation is adaptive because it allows constant stimuli [your beautiful spouse or big house] to fade into the background. Thus, resources remain available to deal with novel stimuli [your slowing computer or a promotion opportunity], which are most likely to require immediate attention. The happiness system is thus hypothesized to reflect changes in circumstances rather than the overall desirability of the circumstances themselves. Imagine that, for you, this was untrue. That all you cared about were absolute levels. I guarantee you’d become a social parasite. Our material standard of living is several hundreds of times greater than just five thousand years ago. The material standard of living of a homeless person in modern-day Manhattan is several dozens of times higher than the wealthiest of kings ten thousand years ago. If all you cared about were absolute levels, you’d be happy living as an unproductive hobo – your rubber shoes and television set would keep you happy and occupied today, tomorrow, and until you died. So thank goodness we adapt and have endless ambition, without which we would have been satisfied hunting animals and living in caves for all time, never inventing medicine, computers, or cars. More realistically, without the hedonic treadmill, our species would have gone extinct – our ancestors would have died. I wish I was just being dramatic. Not so. Rather than your desire to drink water being dependent on your thirst, it would always be the same (or be high at certain fixed intervals). I know, hard to imagine. The result is that in those few critical moments when you really need to drink, you’d only consume a small amount, if any. If the brain decided to solve that problem by always maintaining a high desire for water, you would die from overhydration (drinking too much water). You would have been satisfied having just one friend. In the wild, that’s dangerous. Whenever you were full, you would have sat around in bliss – happy that all was good in the world. When tough times came, you would have been completely unprepared. Death. I’m not an anthropologist – some of the details might be off, but the overall picture is clear – hedonic adaptation is necessary for growth and survival. The problem is when we let our endless pursuit of growth overwhelm and block our pursuit of happiness. We can have both – happiness and growth, but for that, we first have to understand what things keep us on the hedonic treadmill. This isn’t me moralizing – I won’t tell you what should or shouldn’t make you happy. This is dozens of years of science conducted on hundreds of thousands of people speaking for itself. Some things just don’t make people happy, no matter how much they might think or want those things to. One of the most important and growing costs of the modern way of life is ‘cultural fraud’: the promotion of images and ideals of ‘the good life’ that serve the economy but do not meet psychological needs, nor reflect social realities. 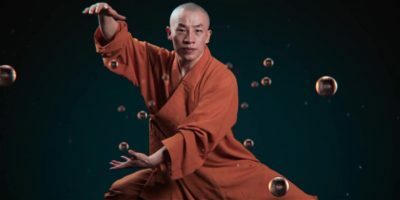 A growing list of traditional life pursuits are being found to have zero to only small correlations with happiness, well-being, and life satisfaction. These include: beauty, money, sunshine, education, children, and choice. 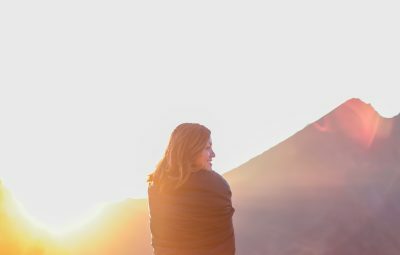 A growing number of longitudinal studies which have tracked people over the decades of their life have found that as their life circumstances have changed, their happiness has remained mostly unchanged (presumably because they spent their time focused on misleading goals, like money and status). A growing number studies conducted on twins has shown that genetic factors may account for as much as half of one’s subjective well-being. 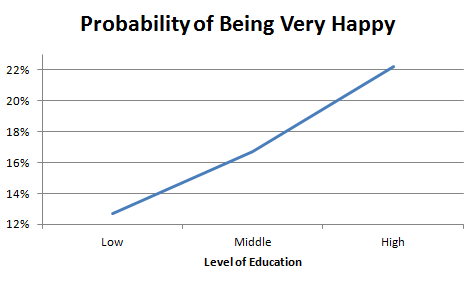 That is, despite some twins being much richer than their counterparts, their average level of happiness was similar. These three lines of evidence taken together indicate that the successful pursuit of happiness requires a departure from the business as usual approach to life. That getting married, buying a house, and having kids isn’t enough. That seeking wealth and fame is a dead-end. That the successful pursuit of happiness requires intentionally pursuing counter-intuitive life strategies. Can happiness really be measured? Happiness can’t be perfectly measured, but it can be approximately measured – accurately enough that several western countries are now considering adopting Bhutan’s Gross National Happiness index – a quantitative attempt at assessing the happiness and well-being of entire populations. The most modern measures of happiness are several factors more accurate than their older counterparts. As scientists learn more about happiness, their measuring tools improve. Yes, happiness is subjective – but that doesn’t mean it can’t be approximately measured. These measures correlate well with alternative measures of happiness, which can be more objectively assessed. For example, The Satisfaction with Life Scale correlates with expression of positive emotion, incidence of depression, and impressions from friends and family. Other scales correlate well with stress levels, lifespan, intensity and frequency of both positive and negative emotions, income, incidence of divorce, social capital, and more. What this means is that at the very least, measures of happiness are indirectly measuring all of the above variables (e.g. incidence of divorce and frequency of positive emotion). In other words, scientists can predict how long you will live, what your income will be, and how likely you are to get a divorce based on their estimate of your level of happiness. I care enough about those things to take happiness science seriously, even if there’s lots of room for improvement. Do you? What things stop giving us happiness because of adaptation? 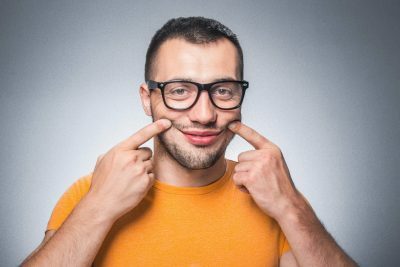 You might think being handsome or beautiful would strongly impact your self-esteem, social connections, and happiness… but it doesn’t. The hundreds of hours of dieting, going to the gym, and putting on make-up (or flexing, for men) increase happiness by a colossal 7%. Becoming more attractive allows you to attract more beautiful partners, but that ability poorly correlates with happiness. First, your expectations increase. Second, after a few weeks or month you’ll begin to take the beauty of your partner more and more for granted. Third, the traits most correlated with relationship success and marital satisfaction are unrelated to physical appearance. They are personality traits, like self-compassion, extraversion, gratitude, and optimism. The one exception may be urban females. Urban settings (but not rural settings) promote a “free market” of relationships in which attractiveness, a basis for personal choice, is an important determinant of social and psychological well-being. Having lived in NYC, I agree. As a child living in suburban American, I had no choice but to play with my neighbors. They would have played with me regardless of my appearance. When I lived in the city I didn’t even know my neighbor’s names. If I was super-attractive, that may have been different. In an urban setting, attractiveness helps form connections, especially if you’re female. In urban settings, the pressure to be beautiful is strong, mostly if you’re female. So if you live in a city, are female, and your weight is giving you anxiety, lose weight. But that takes months and mountains of willpower. Do something easier. If becoming more attractive is one of your goals, it’s because you want more social approval. You want more self-esteem, more attention, and more smiles directed your way. I understand. I want to be more attractive too. But there is an easier way. Make better friends. Be interesting. Be zestful. Volunteer. Join clubs. Be passionate. Stop being annoying. Takeaway: Ugly people are happy too. 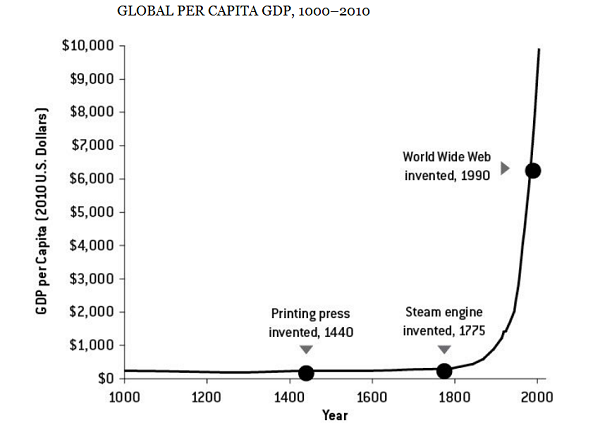 Ah my apologies, that’s the wrong graph. I forgot the first rule of statistics: mislead, mislead, mislead. Let’s change the scale to make the relationship look stronger. That’s better – now we see a clear relationship. More money = more happiness. In my previous life as a consultant, the high pay came with long hours and high stress. I was working 60 hours a week. It’s the same for all high-paying jobs. Lawyer, doctor, investment banker, or consultant – if you’re getting paid above average, you’re also working longer than average. Was the extra 20 hours of work each week worth a 20% increase in life satisfaction? No. 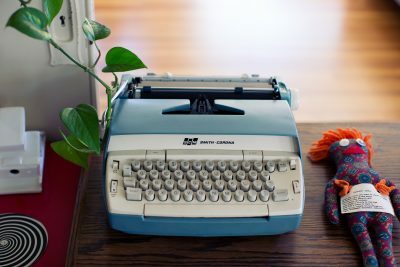 A five minutes a day, 30 minutes a week gratitude journal could have done the same. More even. When evaluating a decision, estimate the potential benefit and the potential cost. If the benefit is high and the cost low, great. If it’s the other way around, stay away. In everyday life, this is called common sense. In the world of business, this calculation is called return on investment (ROI). A high paying job will cost about 20 extra hours each week in additional work and stress. Its potential reward is about a 20% increase in life satisfaction and happiness. A gratitude journal will cost about 30 minutes each week. Its potential reward is a 10 to 20% increase in life satisfaction and happiness – let’s say 15% for this calculation. In other words, the ROI of a gratitude journal is 30 times the ROI of a high paying job. In other words, you should quit your stressful job and start spending some more time being grateful. Or don’t quit. A gratitude journal takes less than 30 minutes a week. However, the one exception is unemployment. Even years after getting laid off, many participants of a 15-year study were still less happy than before – that is, they were unable to fully adapt to their new circumstances. Worse, the effect was still present among many of those who were re-employed. That suggests that unemployment is one of the strongest psychological shocks in the world, comparable to the death of one’s spouse. High responders represent approximately 30% of the population. Remember the last time you had a warm soup or apple cider during the winter? Or a cold soda or beer during summer? It felt good. Because of the contrast. There is no hot without cold; no cold without hot. But sunshine after sunshine is correlated with nothing. Because if every day was warm and sunny, you would get use to it. Weather is also not that important. Most of the time, we’re indoors completely unconcerned about the temperature and humidity. In the California study, weather was ranked last in importance out of 11 items. Would you rather have good job prospects, a vibrant social life, financial security, or nice weather? I would rather have the first three. There is one exception – living in an extremely cold region with below average levels of sunshine is correlated with reduced wellbeing.12 In places like Alaska and Greenland seasonal affective disorder (SAD) is much more common. SAD is depression brought on by poor weather and lack of sunlight. Takeaway: Avoid really cold and dark places. Everything else is not much different. I love to learn – I read new research papers and books every week. Does that love of learning correlate with increased life satisfaction? I would rather be happiest than very happy. It seems it would be better for me to enjoy, rather than to always question. Knowledge is power. No one said that power is happiness. Knowledge teases, with the hope of the grand things our lives can be, but also with the despair of the grand things our lives are not. The very happy are the most economically productive – making money and driving innovation. The happiest people are the most socially productive – spending more of their time on developing their relationships and their communities. So is a high level of education worth it? If you’re just looking for happiness, then no. You don’t need a PhD, Masters, or even an Undergraduate degree. Demographics are poorly correlated with life satisfaction. All of us want more than happiness – we also want meaning and purpose. Many people choose to have kids to fill that need. I would rather learn as much as I can and share that knowledge with all of you. For that I may need to make a sacrifice. I may need to choose ‘very happy’ over ‘happiest’. Takeaway: Cheap education is the best education. Parents are unhappy. I’ve checked, and for every subgroup of the population I analyzed, parents report being less happy than similarly situated nonparents. Parents also make a sacrifice – in choosing to raise children, they intentionally or not are choosing meaning over happiness. I’ve looked at the data myself – there is a negative correlation between happiness and having kids.17,18,19 They also showed that kids decrease rather than increase marital satisfaction. Two recent studies suggest that parents are actually happier than non-parents, and that their studies are more accurate than the previous ones. I don’t think it’s that clean-cut. This active debate indicates that there is no clear correlation either way. Maybe kids will make you happy. Maybe they won’t. Even if they make your happier… it probably won’t be by much. So if you’re looking to have children to improve your marriage or to make you happy, like 76% of Pew respondents, who answered that one of the main reasons for their having kids was the ‘joy of children’, you may be making a mistake. Think about it – you’ll spend thousands of hours and hundreds of thousands of dollars raising your children. If you spent that same time meditating, exercising, and strengthening your social relationships, and learning new skills, you’d be guaranteed to be happier. 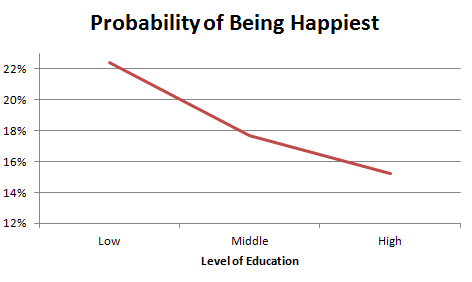 But there is more to life than happiness, which is probably why despite the data, Betsy decided to have kids. Three recent studies suggest that having children increases meaning and purpose in life. And of course – all of us want to leave a legacy. For some it will be our children, for others our books, and for others our companies. If you want children to be your legacy, and you’re willing to sacrifice your time, money, and peace of mind for it, I applaud you. I need your kids to fund my social security. Takeaway: Kids bring meaning and purpose. Friends and vacations bring happiness. *Ironically, across all of these studies, men with children had greater well-being than women with children. I’m so glad I’m a man. Not only do I not have to give birth, I don’t have to have periods , or change any as many diapers. **If you’d like to better understand how, on average, having kids can possibly reduce happiness, I recommend the book Stumbling on Happiness by Daniel Gilbert. The growth of options and opportunities for choice has three, related, unfortunate effects. It means that decisions require more effort. It makes mistakes more likely. 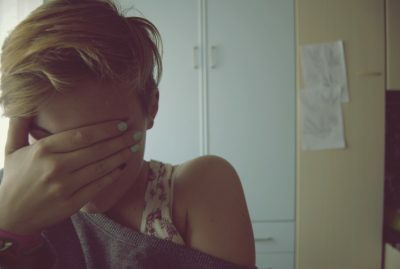 It makes the psychological consequences of mistakes more severe. A few months ago I was having a quarter-life crisis. That’s what gave birth to this blog. Why the changes? The burden of choice and pains of possibilities unreached. Some choice is good. It gives birth to individuality. It gives us the feeling of control. Too much choice is bad. It overwhelms. We of Gen X and Y know we can travel the world, save starving children, rise the corporate ladder, and dream big dreams. Our worlds are no longer limited to the town we grew up in. The possibilities are exciting. The possibilities are also crushing. With every fork come dozens of choices than need evaluation. With every choice made, there are dozens of possibilities turned away, waiting to fester into regret. With power and opportunity come responsibility – the requirement to evaluate more and more choices. It can be draining. Soon I will be moving. A part of me wants to comb through the data and create complicated statistical models to rank all of my choices. A part of me knows that the data is a curse, because NYC or San Francisco, Singapore or Boston, there are people. As long as there are people, I will be happy. Takeaway: Simplify. Uncertainty feels bad, simplicity feels good. 1. Daniel S. Hamermesh & Jason Abrevaya, 2011. “”Beauty Is the Promise of Happiness”?,” NBER Working Papers 17327, National Bureau of Economic Research, Inc.
6. Quoidbach, J., Dunn, E. W., Petrides, K. V., & Mikolajczak, M. (2010). Money Giveth, Money Taketh Away The Dual Effect of Wealth on Happiness. Psychological Science, 21(6), 759-763. 7. Sanders, J. L., & Brizzolara, M. S. (1982). RELATIONSHIPS BETWEEN WEATHER AND MOOD. Journal Of General Psychology, 107(1), 155. 8. Diener, E., Oishi, S., & Lucas, R. E. (2009). 17 Subjective Well-Being: The Science of Happiness and Life Satisfaction. Oxford handbook of positive psychology, 187. 9. Howarth, E. E., & Hoffman, M. S. (1984). A multidimensional approach to the relationship between mood and weather. British Journal Of Psychology, 75(1), 15. 10. Schkade, D. A., & Kahneman, D. (1998). Does Living in California Make People Happy?. Psychological Science (Wiley-Blackwell), 9(5), 340. 11. Aaronson, L. (2006). Happiness Is a Beach, Sometimes. Psychology Today, 39(1), 27. 14. Park, N., Peterson, C., & Seligman, M. E. (2004). Strengths of character and well-being. Journal of Social and Clinical Psychology, 23(5), 603-619. 16. Oishi, S., Diener, E., & Lucas, R. E. (2007). The optimal level of well-being: Can we be too happy? Perspectives on Psychological Science, 2, 346-360. 17. Clark, A.E. 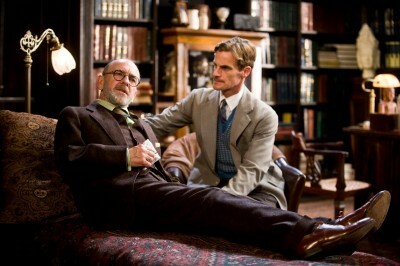 and Oswald, A.J. (2002a). “Well-Being in Panels”, mimeo, University of Warwick. 18. Rafael Di Tella & Robert J. MacCulloch & Andrew J. Oswald, 2003. “The Macroeconomics of Happiness,” The Review of Economics and Statistics, MIT Press, vol. 85(4), pages 809-827, November. 19. Alesina, Alberto, Rafael Di Tella and Robert MacCulloch. “Inequality And Happiness: Are Europeans And Americans Different?,” Journal of Public Economics, 2004, v88(9-10,Aug), 2009-2042. 21. Easterlin, R. A. (2001). 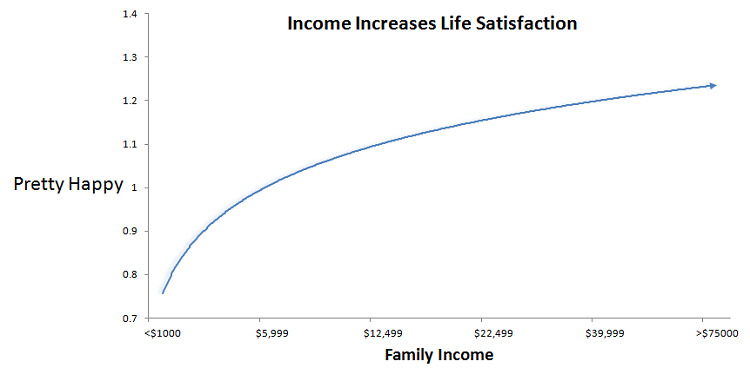 Income and happiness: Towards a unified theory. The economic journal, 111(473), 465-484. 22. Lykken, D., & Tellegen, A. (1996). Happiness is a stochastic phenomenon. Psychological Science, 7(3), 186-189. 23. Richard E. Lucas, Andrew E. Clark, Yannis Georgellis, and Ed Diener. 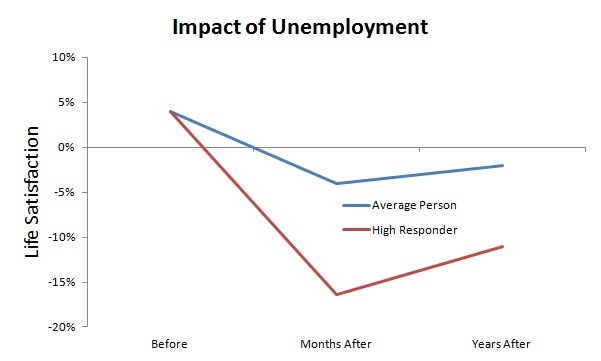 Unemployment alters the set point for life satisfaction. Psychological Science, 15(1):8–13, 2004. 24. Baird, B. M., Lucas, R. E., & Donnellan, M. B. (2010). Life satisfaction across the lifespan: Findings from two nationally representative panel studies. Social indicators research, 99(2), 183-203.